George & Joseph cheesemongers, Leeds. It’s safe to say that avoiding supermarkets is a lot easier if you have brilliant local alternatives. Specialist shops might mean that you need to go from place to place rather than buying everything from under one roof, but the pleasure you can take from buying your food from someone who really knows their stuff turns food shopping from being a chore to a delight. 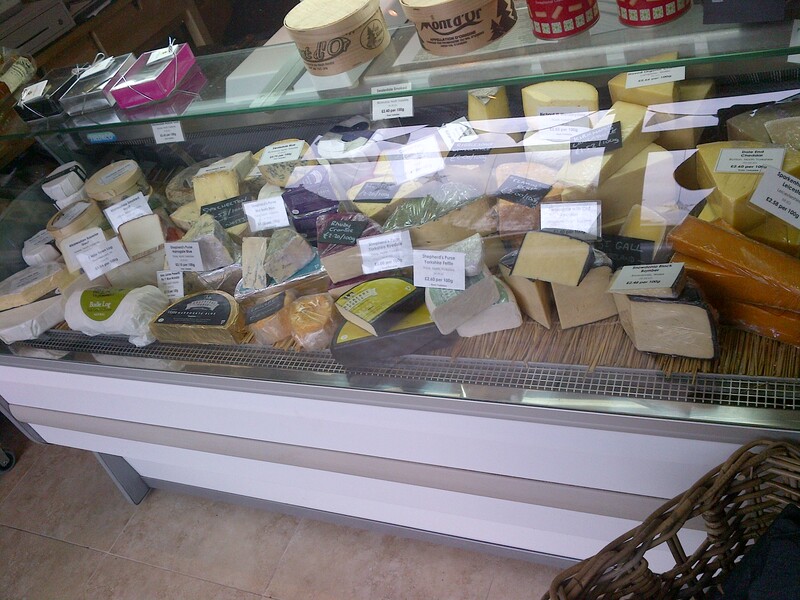 In North Leeds, one such shop is George & Joseph, a cheesemongers in Chapel Allerton. Tucked away down Regent Street in LS7, this little gem specialises in Yorkshire cheese and warm welcomes. I’ve been in a few times now, and always come away with gorgeous wax paper-wrapped cheese which we’ve thoroughly enjoyed. There’s something for all palates ranging from soft, mild goat cheese to strong blue cheeses as well as the crackers, chutneys and platters you need to serve your cheese on. The first time we visited, Stephen the friendly owner of George & Joseph recommended the Old Winchester cheese which has become a firm favourite. It’s not a Yorkshire cheese—it’s from Lyburn cheese makers in the New Forest— but its firm, almost crunchy texture and strong nutty, Parmesan-esque flavour have got me firmly hooked. It’s genuinely my favourite cheese of all time. And that’s not a thing I say lightly. Also, the cheese is made with a vegetarian rennet, which means its great for those looking for an Italian style hard cheese without the animal rennet that Parmesan always contains. Do you have great local stores near you? Are there any other places in Leeds I should try too? Let me know! An evening with Seven Arts. Le Tour de France: Your Very Basic Guide. 2 Responses to George & Joseph cheesemongers, Leeds. That sounds wonderful, and how great that you can have so much trust in your food purveyors that you know they’ll choose something fabulous for you! Margot and Barbara is changing!